You are not alone when it comes to straightening hair. Lot of ladies face issues when it comes to hair straightening. But here’s a solution to all your problems. 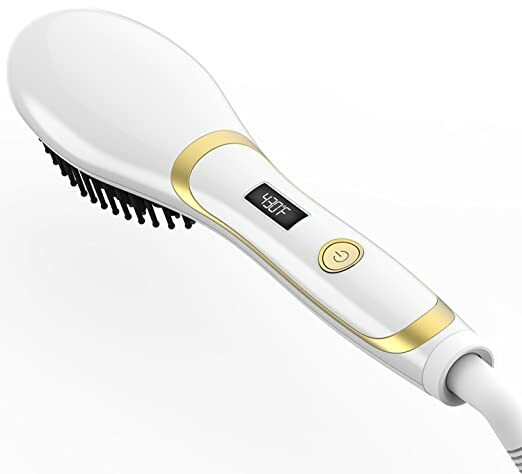 Compact, easy to use, dual-purpose, and quite low cost, the best hair straightening brush for your needs is out there for you to find. I bought a Magictec brush myself from amazon and boy it was worth the bucks. I used straightening iron which I was addicted to. I had no other option until a friend of mine told me about Magictec. You see, when i get up in the mornings, my hair is a big huge brush. I need to straighten it to give it a silky look and often with straightening iron, my hair smelt like a burnt wood. My straightening iron was damaging my hair.